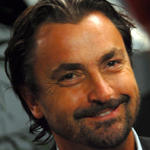 Former French Open finalist and French Open doubles winner Henri Leconte gives us a review of the 2015 tournament and a preview to the runners and riders of the 2016 Australian Open in his own wonderful way. This is worth a read…! ‘Australia! Let’s get the 2016 tennis party season started with a look back at 2015 and a peek up the road to the upcoming Aussie Open! Allez! By the way, the Australian Open takes place at Melbourne Park in Melbourne of course! It’s the first Grand Slam of the year and it’s the summertime! I was commentating on the 103rd Aussie Open for Channel 7 and I was seriously impressed with Novak Djokovic. He overcame defending champion Stan Wawrinka in the semi-final, or as I call him ‘Stan the Man’ and although both players seem nervous in the first set, they traded sets until the fifth set decider when Novak took control and saw out his opponent 6-0. This is such a great tournament and I love it! OK, so let’s start with a look back at last year. Sadly there were no French players in the singles finals but at least there was French participation in the men’s doubles! Yes! For the third time in five years, Novak beat Andy Murray in the final 7-6 (7-5), 6-7 (4-7), 6-3, 6-0. The defending women’s champion Li Na wasn’t here to defend her title. Why? Because she retired from professional tennis in September 2014 so it was left to the power women Serena Williams and Maria Sharapova. It was the second time they had met each other in the finals and there was lots of screaming but Serena finally won 6-3, 7-6 (7-5). Italians Simone Bolelli and Fabio Fognini won the title for the first time beating the French pair Pierre-Hughes Herbert and Nicolas Mahut 6-4, 6-4. In the women’s doubles, American Bethanie Mattek-Sands and Lucie Šafářová from the Czech Republic beat Zheng Jie from China and Chan Yung-jan from Chinese Taipei 6-4, 7-6 (7-5). I saw Martina Hingis in January and as well as having all sorts of fun with Martina Navratilova (as we always do when we get together) she found time to win the Mixed Doubles with Leander Paes. It was Martina’s second title and Leander’s third and they beat Kristina Mladenovic and Daniel Nestor 6-4, 6-3 in the final. Before we carry on, here are a few fun facts about the tournament. It’s played on hard courts and there are three show courts – the Rod Laver Arena, the Hisense Arena and the Margaret Court Arena from where we have even recorded my TV show from the roof! Yes, the Margaret Court Arena does have a roof but not to protect us from the rain like at Wimbledon! It’s to protect us from the heat but it’s only closed because of extreme heat and it’s the Referee’s decision. In 2014 we had fried eggs on the court! It was unbelievable but it’s true! There was a huge heatwave and they made us breakfast on the court! Even so, the fans came out and supported us. Each year around 700,000 people come out to watch the Aussie Open tennis and I think it’s unbelievable! The tournament is broadcast in over 200 countries and for the 2015 tournament there was live coverage from all 16 courts! By now you’ll know I’m a fan of the word ‘unbelievable’ and I’m famous for it in Australia! OK, enough of that. I’m going to carry on. So now we get back on the road to 2016. As you know, in the lead up to the Grand Slam tournaments, the players complete their preparations in warm-up tournaments and here’s the low-down to where the big names are playing. Stan Wawrinka is in India at the Aircel Chennai Open with nine other top 50 players including British number two Aljaz Bedene. The Brisbane International has a real star, Mr Roger Federer himself and a man I admire very much. He’ll be joined by Kei Nishikori and former US Open champ Marin Cilic as well as Milos Raonic, Gilles Simon (French!) and home player Bernard Tomic who will be hoping to impress his loyal fans. Andy Murray, Gael Monfils and Nick Kyrgios will be ITF Hopman Cup in Perth and Jo-Wilfred Tsonga, John Isner and Kevin Anderson will be at the Heineken Open in Auckland. As for the women, Serena Williams, Lucie Šafářová and Heather Watson join Andy Murray in Perth and Maria Sharapova, Simona Halep and Garbine Muguruza are at the WTA Brisbane Invitational. Venus Williams and Caroline Wozniacki are playing the ASB Classic in Auckland and Agnieszka Radwanska, Petra Kvitova and Johanna Konta will be in China for the Shenzen Open. The Aussie Open is always a fantastic tournament and there’s so much awesome tennis to watch, so tune in from wherever you are in the world and support the French players! Just kidding! I’ll be back very soon but in the meantime, have a lovely Christmas and a very happy New Year!